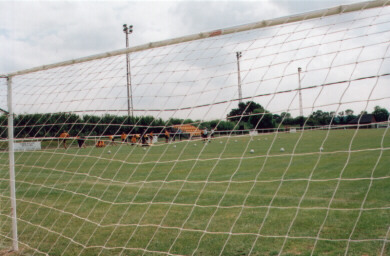 Leamington FC's home since the 2000/01 renaissance. The New Windmill Ground is built in the shadow of nearby Chesterton Windmill on Harbury Lane, just outside of Leamington Spa. Since 2000/01 the ground has seen, through the efforts of a band of very dedicated supporters, the addition of floodlights, small seating sections (one under cover) and the beginnings of a new clubhouse/changing rooms all hopefully bringing the ground up to Midland Alliance standards as soon as possible. Click here to see the MultiMap view of ground.